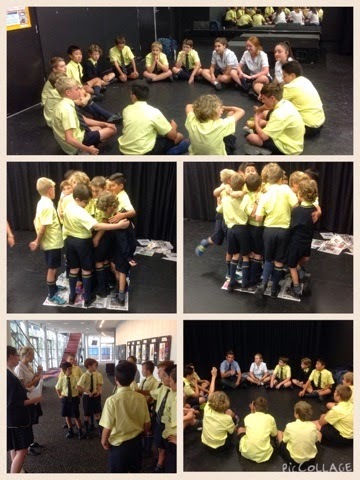 Today at lunch time Year 6 leaders had the opportunity to participate in some fun leadership training. 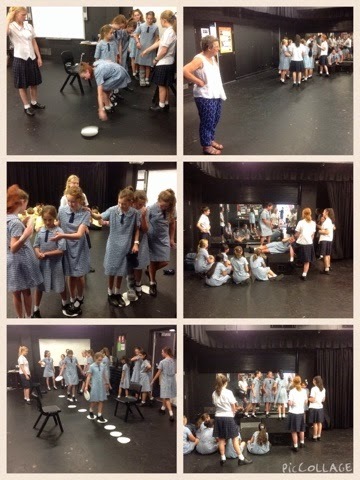 Year 11 student leaders ran some fun games to help Year 6 understand some valuable leadership qualities, like teamwork, planning ahead and working together. Thanks Mrs Gaskell for helping us organising this! Leadership training for Year 6 will be held once each term. Students must attend if they wish to receive a Leadership Award at the end of the year, unless they are absent. I was so impressed with the student's enthusiasm and willingness to attend this training today. After lunch Year 6 wrote a short reflection on this individual blogs about three things they learned about leadership. You may want to read what some of them wrote. 1. Teamwork and communication is important to be a leader. 2. Encouraging others and younger ones is also an important thing to be a leader. 3. Teaching younger ones the right things will teach them to be a better leader when they grow up. 1.If you want to be a leader then you must learn to work in a team. 2.Being a leader means you'll have to adapt to being given a short amount of time to take care of a big problem. 3.And finally To be a great leader you'll have to have a kind heart and be willing to help everyone that needs it. Great insights on leadership from our kids.......the future leaders of our school and community.